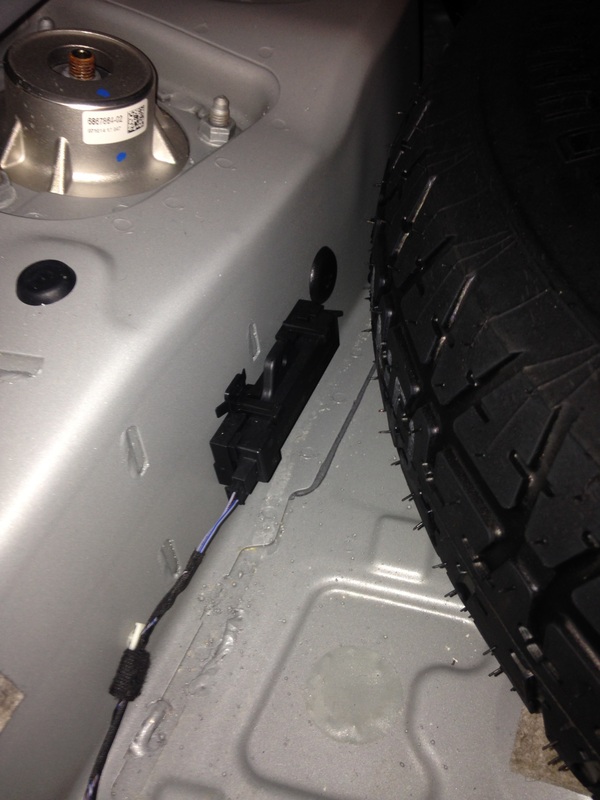 The car is aX5 F15 2015,,,,customer said his comfort access is inop,,,sure enough it didn’t work,,,,also he said his rear trunk lid lock button doesn’t lock the doors,,,so I scanned for fault,,,,found left rear antenna ariel is not connected,,,,check al other antennas are ok,,,,just no signal from left rear antenna ariel,,,,so I check out the antenna located next to the spare tire,,,there also one on the right of the spare tire. I saw connection was ok on antenna,,,traced the wiring harness and found broken harness right in the corner next to the battery,,,no signs of rat chew,,,don’t know what happens,,,,,I just know I found the damaged wiring,,,,repaired the wiring,,,,comfort access working now,,,,also the rear trunk lock button working,,,,the rear trunk lid lock button wasn’t working because it didn’t see that the Kay was out of the car,,,,,because the comfort access wasn’t working,,,,got lucky fixed 2 problems at the same time. This entry was posted in Uncategorized and tagged Comfort access, not working, x5. Bookmark the permalink. Good you named “rats” or “mouse” as an option. 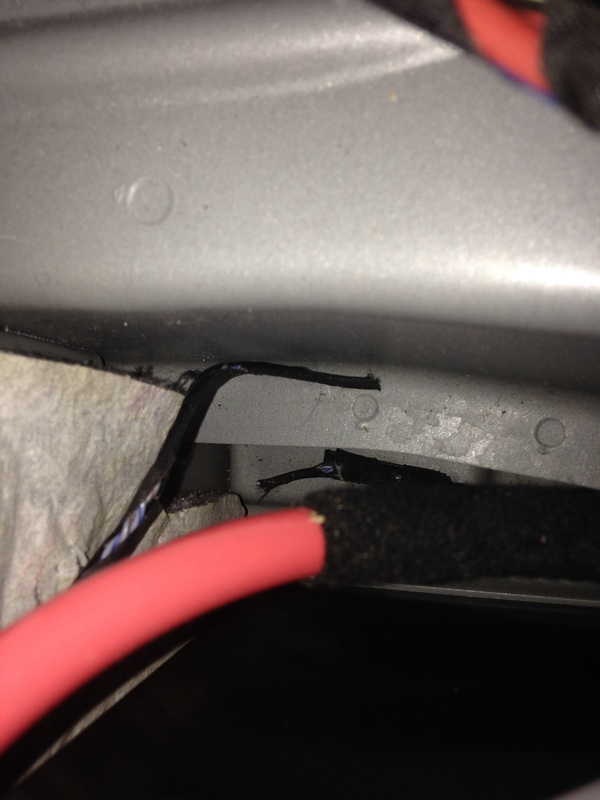 I got a Z4 2015, no brakes, powertrain fault in idrive, etc.. went full diag and visually i noted the half heaten abs sensor’s wire, plus 2inch missing twisted can bus wires. Bmw’s is far far away the n°1 tasty yummy wire brand for rats IN THE WORLD. Isnt this plastics compose does have a rat repellend?? I do remember i read somewhere they does.